As a parent, you have several concerns when you plan to buy a house. There are many aspects involved that contribute to a successful residential project. Residents have realized the importance of buying an own house rather than saving up on funds for short-term goals. At some point of time, it is necessary that we categorize our priorities and day-to-day expenses and invest in something worthwhile. Puranik Future City by Puranik developers is one such unique project that is precisely located to perfection at Neral in Mumbai. The project comprises of buildings that are nothing short of architectural marvels. Residents present at the site can now experience stunning views of landscaped gardens surrounding the project. Neral, which is the location of the project is emerging and nature and provides wide-range of ecological and eco-friendly benefits as it has the hills of Matheran and Bhimashankar as the backdrop. Now, comes the question of the rise in nuclear families around various developing locations around Mumbai. With the rise in urban population and residents from the upper middle-class group, the demand for affordable homes has risen significantly. This has led to drastic changes in strategies and plans as far as real estate developers are concerned. Now with children at the forefront, residents are worried if their investment would bring any value at all for their children. The future generation of our country should benefit equally, if not more than the adults who are responsible for profitable investments. It is crucial that realtors realize these facets before devising a plan to implement that would cater to diverse residential expectations. From the amenities, floor plans, safety till the overall project design specifications, everything has to be kept in check and closely monitored if a property developer needs to capture diverse demographic markets. Puranik Future City Neral has partnered with renowned architects who understand prospective requirements and plan their execution accordingly. Being long-term in nature, residents should select properties that would suit the needs of their kids so they wouldn’t have to take them to further-out locations to avail basic civic amenities. This builds long-standing relationships for future business prospects. Location of a residential project is by far the most important aspect that can benefit residents from all age groups. It ultimately comes down to the proximity to renowned locations and how can residents travel with utmost ease to reputed areas around the city. As children love to explore and are adventurous by nature, property developers should choose the location to perfection. Residents should always go to the site before coming to final decisions just based on numbers and developer history. It is important that residents take their children along to the project and experience the amenities and floor plans so their children are happy thinking they have everything right at their door steps for a steady and productive growth. Amenities such as basketball courts, playgrounds, cricket pitches and eco-friendly benefits should be provided so children who are teenagers can furnish their ecological skills for an enhanced future. Safety and well-being of residents is important within the property. Project specifications should be such that children are safe when they come out and play when their parents aren’t watching. For example, high-rise grills in balconies, life guards in case kids want to go for a swim and fire-safety services are important if there are families who are investing in individual properties. Electric sockets shouldn’t be at the reach of children as it can cause evident health hazards. Property developers should make sure they incorporate amenities like child-safe sockets and switches for any unforeseen circumstances. Real estate property owners should make sure they devise strategies that meet diverse requirements of working parents. Bangalore, known as the Silicon Valley of India provides high-paying jobs. In such cases children are at home while the parents spend an entire day at work. In such scenarios, realtors should devise round the clock recreational amenities that contributes to the child’s development. With the increase in urbanization, there are loads of opportunities presented to realtors to come up with programs exclusively for children that contributes to their overall development. Summer swimming camps, creative 2-month courses in painting/photography, cricket camps and learning to live in a sustainable environment are some of the amenities and courses that can be added so kids at the premises need not wait for opportunities to come their way! 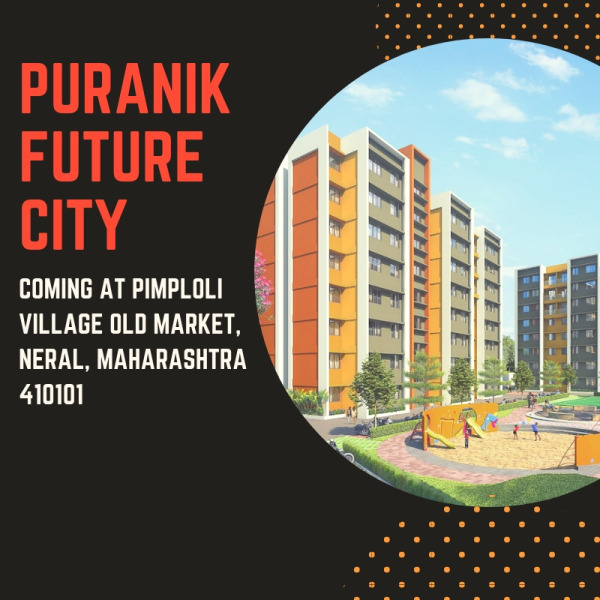 Puranik Future City Residential Apartment Neral has devised amenities that are certainly in line with industry standards and customer expectations. These are devised in such a way that Puranik Future City stands apart and has a competitive edge over other realtors around Neral. With landscaped gardens surrounding the project, residents are sure to experience every eco-friendly for a sustainable lifestyle.